Melbourne is renowned for its richly vibrant entertainment industry. 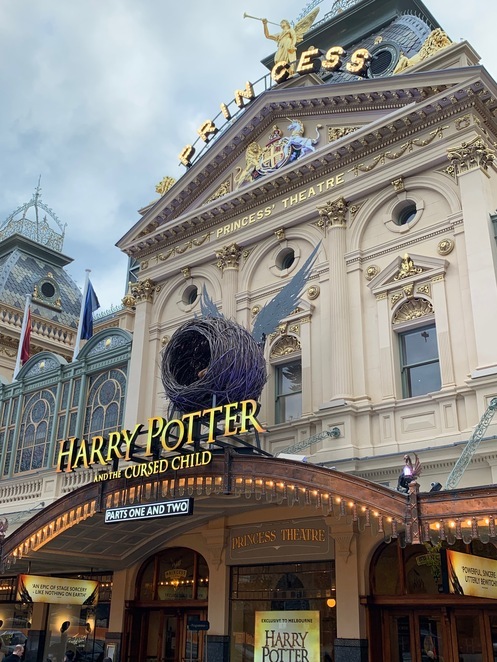 With the record-breaking Harry Potter and the Cursed Child play currently and exclusively showing in Melbourne, many visitors will be in search of dining options before or in between shows. So, if you are seeing a show in Melbourne and fancy an alternative to the fast, unhealthy option, then the pre-theatre dining menu at The Essence Restaurant is the solution. 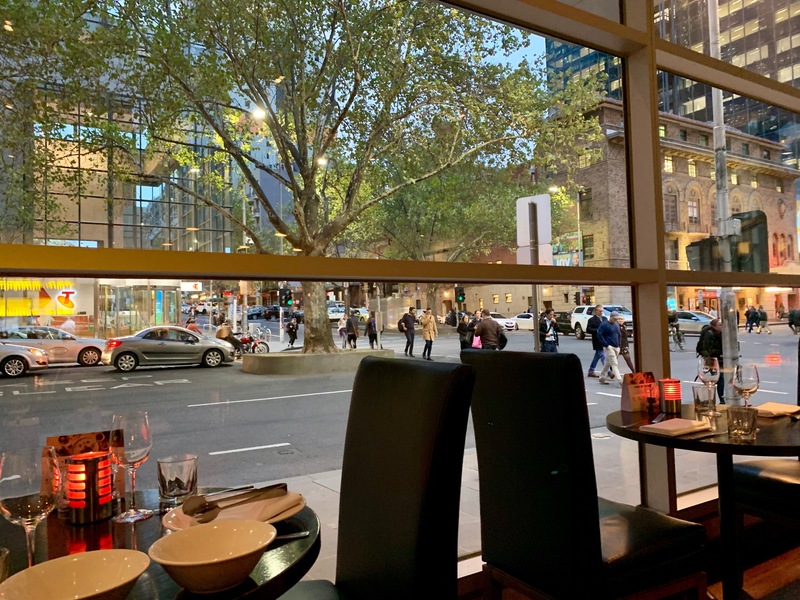 The Essence Restaurant is situated right in the heart of the "Broadway" precinct of Melbourne city and within walking distance of the iconic theatres of Melbourne. Located on the ground floor of the luxurious five-star Marriott hotel, the Essence has a modern feel with its open kitchen and spacious dining area. The ceiling to floor glass windows are a feature, allowing the hustle and bustle of the city outside to be observed form the peacefulness inside. 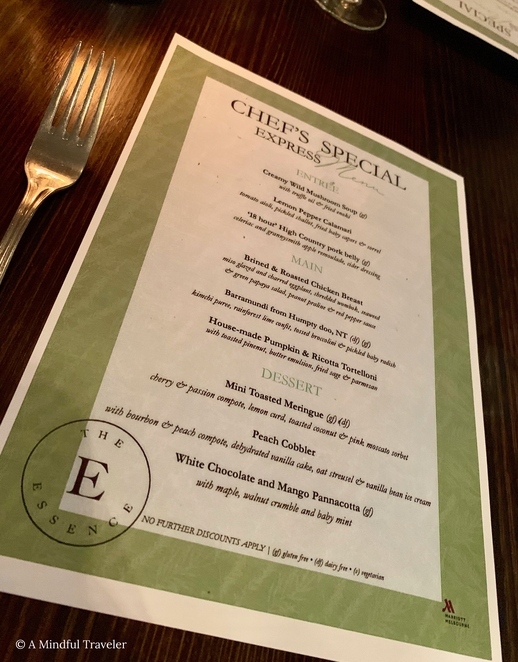 Among the regular seasonal menus for breakfast, lunch, afternoon tea and dinner, the pre-theatre dining menu or chef's express menu is perfect for when you are challenged for time or need an early seating. 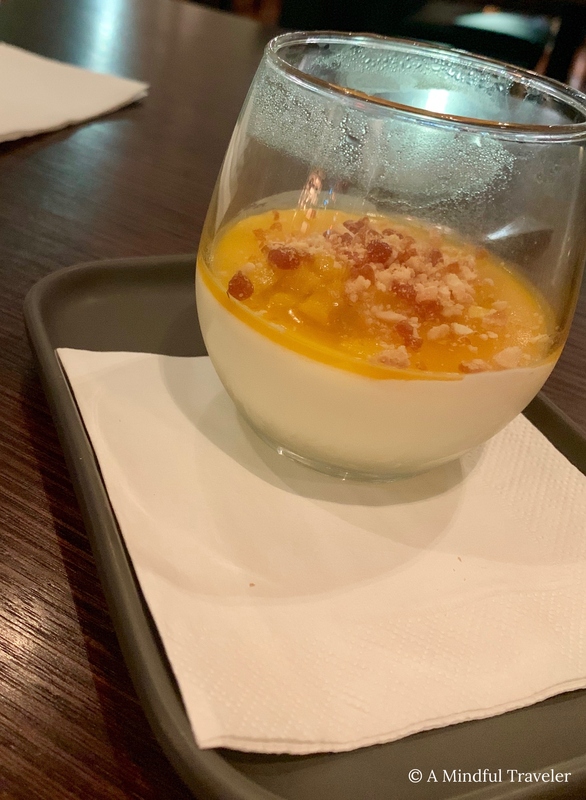 The choice of two courses for $49 or three courses for $59 each accompanied with a glass of beer, wine or soft drink, prove exceptional value for Melbourne dining. Furthermore, the service at The Essence is extremely efficient and the staff attentive, especially if they are aware you are on a tight schedule. The Essence only use fresh local sourced produce, hand picked by the Head Chef himself. 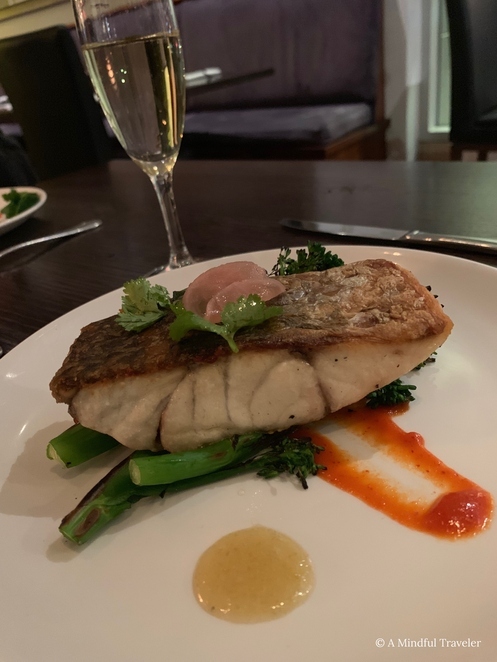 A unique fusion of Australian wild herbs and spices, evident in the Barramundi fish main, are some of the special touches. 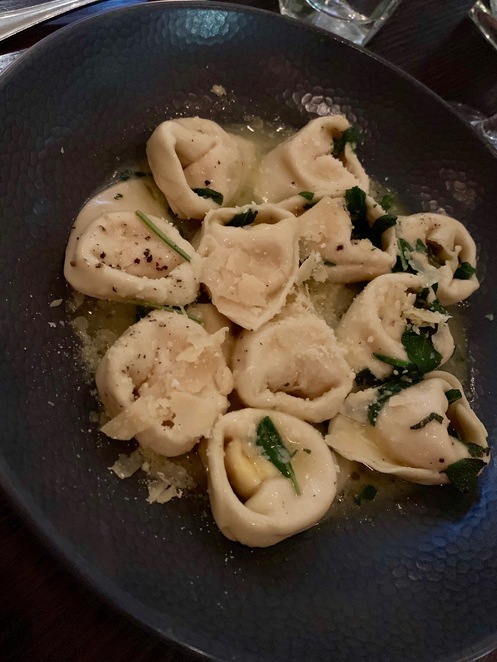 House-made pasta by the Italian chef from Bologna are little parcels of pumpkin and ricotta tortellini individually hand made with love. With a choice from three entrees, three mains, and three delicious desserts to choose from, from the pre-theatre dining menu, there is not one dish that will disappoint. Succulent high-country pork braised for 18 hours, and crispy calamari served with tomato aioli are just a few other tempting plates on the menu. And, mini toasted meringues with a rich cherry sauce and refreshing pink Moscato sorbet or a decadent white chocolate and mango pannacotta with a maple walnut crumb are two options for dessert. 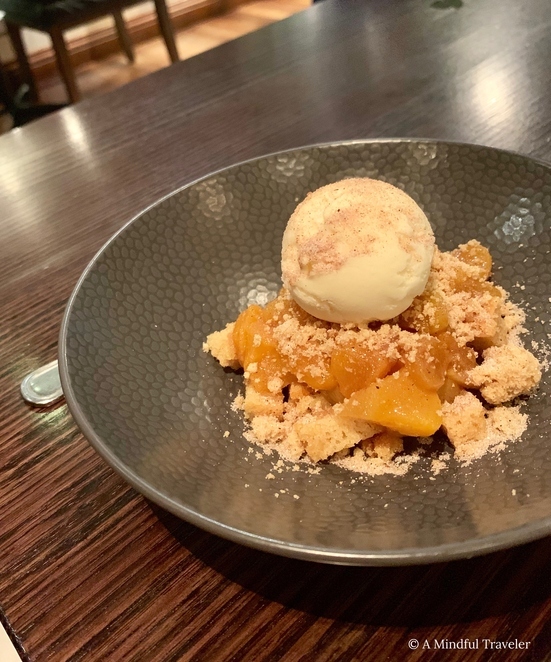 When choosing from the pre-theatre menu clever pairing will aptly complement each course, and the friendly staff are more than happy to assist. The Essence cater for gluten free, dairy free and vegetarian diners, and a children's menu is also available. A quick bite to eat before a theatre or comedy show doesn't need to be takeaway or a fast food option. The Essence at The Melbourne Marriott provides delicious food with tempting flavours at exceptional value for money. Well written and great pictures. Thanks Lorelle.